The scene at the Kiah Museum. IT’S NOT every day you’re invited to take part in a public archaeology dig close to home. 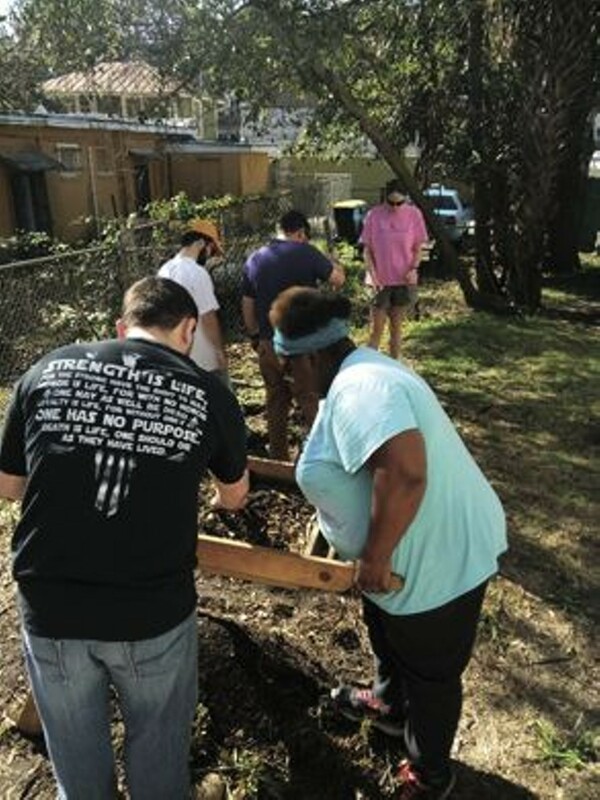 You get your chance this weekend, as the local group Digging Savannah – the public archaelogy program of the Armstrong Campus of Georgia Southern — will continue a dig in historic Cuyler Brownsville in West Savannah. The project looks into the property at 505 W. 36th Street known as the Kiah Museum, former home of Dr. and Mrs. Calvin L. Kiah. Cuyler-Brownsville is one of the oldest African-American communities in Savannah, with roots going back to a community of free African Americans who had settled there since the late 18th Century. Today, the community’s social fabric faces gentrification, crime, and lack of economic development. The Kiah Museum is threatened with the City’s new “blight tax” due to the deterioration of the building. At the request of community members, and the group Friends of the Kiah Museum, archaeology will be part of an interdisciplinary project aimed at using conversations about the past to bring people together to value the Kiah House Museum and the Cuyler Brownsville Community. This Digging Savannah project is working with students from Georgia Southern University and Savannah State University, Friends of the Kiah Museum, and community members to identify goals for community development and to use public archaeology to meet those goals. 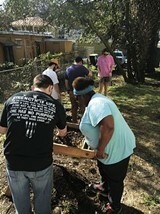 The dig happens Saturday March 3 and Sunday, March 4, , from 9 a.m. to 4 p.m. The excavations will be open to the public. Students will be expected to help with public interpretation and education. Outreach will extend beyond the dig days. In other local history news, the poignant but historically important “Weeping Time” will be remembered in a couple of local events this month. The Weeping Time was the largest single sale of enslaved persons in U.S. history, and took place in Savannah on March 2-3, 1859. At least 429 people were sold on the grounds of a local racetrack in West Savannah, some kept in horse stalls. At Weeping Time commemorations it is customary to carry an open umbrella to mark the fact that a heavy rain fell steadily both days, a sign to many that God Himself was crying. This weekend, OCEANS (Organization to Commemorate Enslaved African American Nationals, Inc.), Journey by Faith, Inc., Ivory Bay CDC, and Georgia Historical Society invite you to a commemoration at Otis Brock Elementary School, 804 Stratford St. Gather at the school gym at 9 a.m. this Saturday. The gathered will walk to The Weeping Time site at Augusta Avenue and Dunn Street for a wreath-laying ceremony. Later this month, the College of Liberal Arts at Georgia Southern’s Armstrong Campus invites you to the third annual Mark Finlay Memorial Lecture. Speaking March 22 at 6 p.m. in the Fine Arts Auditorium will be Dr. Anne Bailey, author of The Weeping Time: Memory and the Largest Slave Auction in American History. Dr. Bailey will focus on the role Savannah played in this chapter in history. The free lecture will be preceded by a performance from the Gullah Geechee Shouters at 5:45 p.m.